What makes this documentary unique is that it is GPB’s first docu-series to be released exclusively across our digital platforms first, including GPB’s website, Facebook and YouTube. 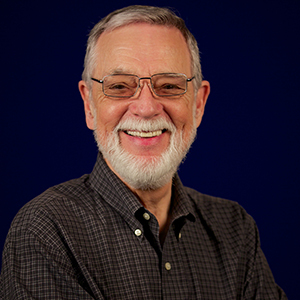 New stories about Rich’s history in Georgia will be released each month. The first feature on Rich’s beginnings was released last week. M. Rich and Sons opened their first store in 1867. In a cash and carry world, they offered credit. And the most famous Rich of them all, Richard, actually believed and behaved according to a successful slogan: The Customer Is Always Right. Fashionata attracted fashionistas from Europe and New York City, and the Magnolia Room was famous for its Coconut Cake and Almond Chicken Salad. People rode special trains up from Macon and Savannah to shop in the Flagship Store on Broad and Alabama Streets. 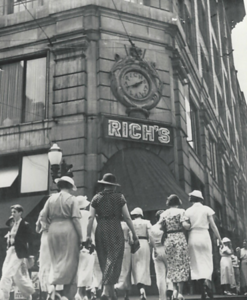 Before Rich’s name was erased from the last department store in 2005, 25 stores had been opened across the Southeast. But most were in Georgia. Almost everyone who shopped at the Flagship Store, with its buildings and Crystal Bridges at 45 Alabama Street, had a story about how nice it was to shop there, and how well they were treated there. And they still remember them. There are literally thousands of members in Facebook’s Remembering Rich’s Department Store. Some of them are even participating in our digital video series. They will tell stories, bring souvenirs, and share reminiscences of unforgettable experiences, from the Pink Pig Flyer to the Great Tree, whose illumination, after all these years, still has the power to goose bump. Jeff Clemmons, author of “Rich’s: A Southern Institution,” joins us in the project as well. Many of the people, like myself, who made “The Legend Lives On: Atlanta’s Fox Theater” are producing the Rich’s series. And just as the universal reaction to that program was “thank goodness we saved it,” the effect of this one will be “we miss it." But we have a lot of people to help us remember it, and a lot of things to remember it by and with. It is still loved. We hope you will love our series too.